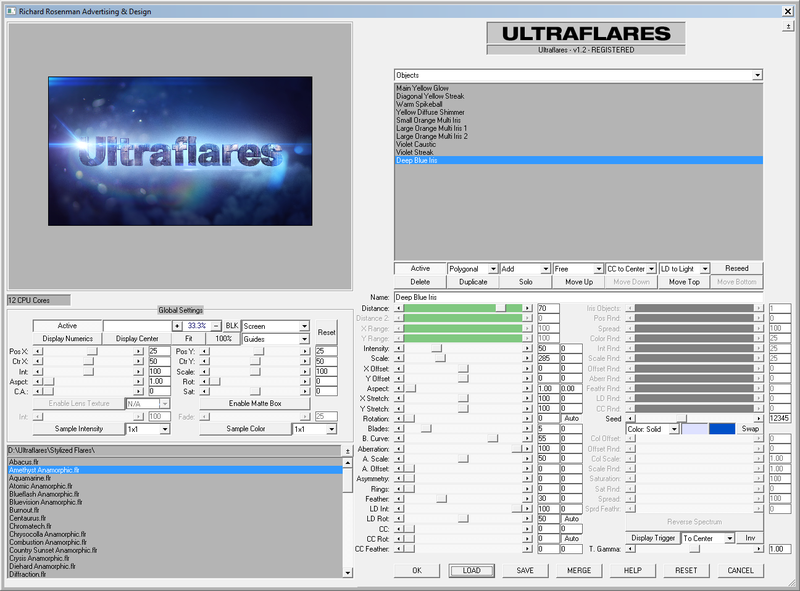 Ultraflares v1.0, the ultimate lens flare and light studio for Adobe Photoshop and compatible hosts has been released. Backed by over a year and a half of research and development, Ultraflares boasts some of the most advanced and realistic lens flare features available today. Ultraflares comes packed with hundreds of presets including over 65 natural flares, over 60 stylized flares, over 35 glints and over 40 light leaks, all modeled after real-world light phenomena. Ultraflares brings the power of lens textures to the artist’s fingertips. Select any lens texture and watch as Ultraflares realistically illuminates the texture according to it’s lens flare color, location and structure. Choose Ultraflares’ own highly configurable procedural lens orbs object or use custom textures of any kind. Embedded custom textures in compatible file formats such as PSD allow Ultraflares to easily toggle between multiple textures. Ultraflares is the definitive solution for any hobbyist or professional digital artist, designer or photographer demanding cutting-edge, high-quality lens flares and light effects. Visit the website for a full list of features and detailed flare galleries and download the free demo.